SENS Studio using creativity, sincerity, and love to preserve each precious moment in your life, and let you own the unique delighting moment. SENS Studio is good at professional and innovative shooting techniques, to provide our client the best quality of photography services. From the joy of pregnant to the miracle of birth, we will help you to record each precious moment in life one by one. Taking big family photo is our strength. It is different from the typical photography, we have a spacious and comfortable shooting room to let our photographer creative juices flow. 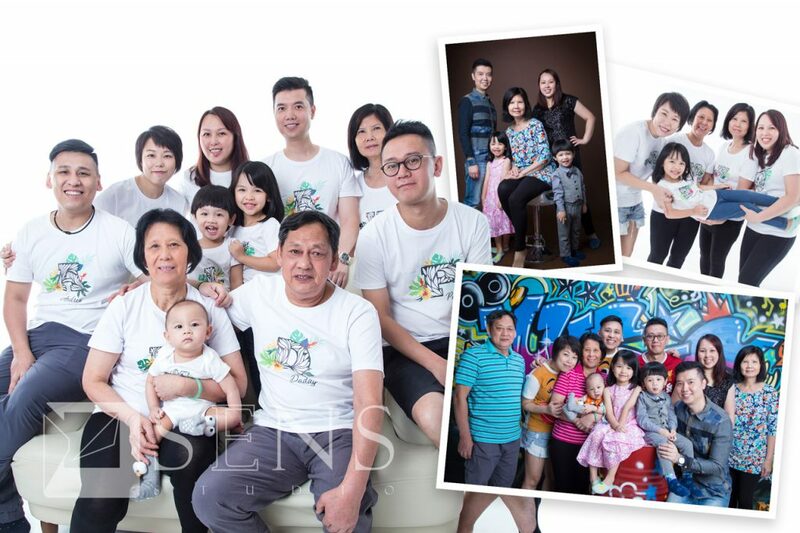 We know that each family has a different background, we will familiar with your story in order to create a unique family photo that consists of ease, warmth, and love. This special offer is limited to 1 x Family for one time only, and family members cannot be repeated during the period. Each voucher usage from the last voucher redeemed to be at least 6 months apart. (the date will be starting counted from the photo selection date). This package is valid for Weekdays only, an additional charge of HK$300 is required for Saturday, Sunday and Public Holiday. Client may require the Professional Make-up and Hair Styling service, an additional service charge should be HK$500 per person. 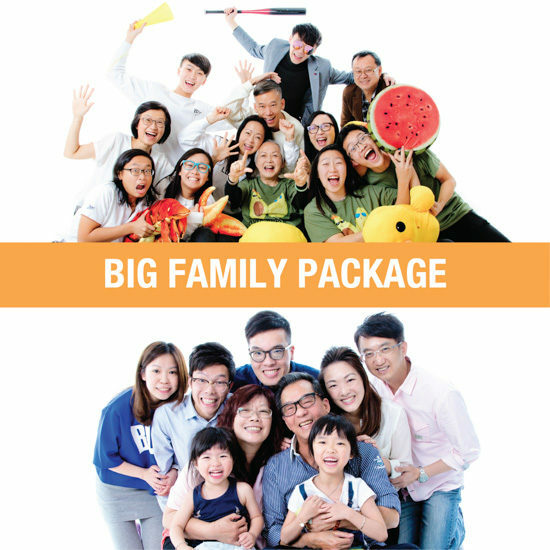 The package is valid for a maximum of 10 or 20 family members, an extra charge of each additional member will be HK$300. Pet will be counted as 1 family member. Reservation once confirmed are not changeable nor refundable. An additional charge of HK$300 is required for a cancellation fee. The reservation will be automatically cancelled, in case of inclement weather conditions: Tropical Cyclone Warning Signal No.8 or above and Black Rainstorm Warning Signal. SENS Studio will contact the client for a subsequent arrangement.